Move fast to secure this great Investment opportunity or first home. 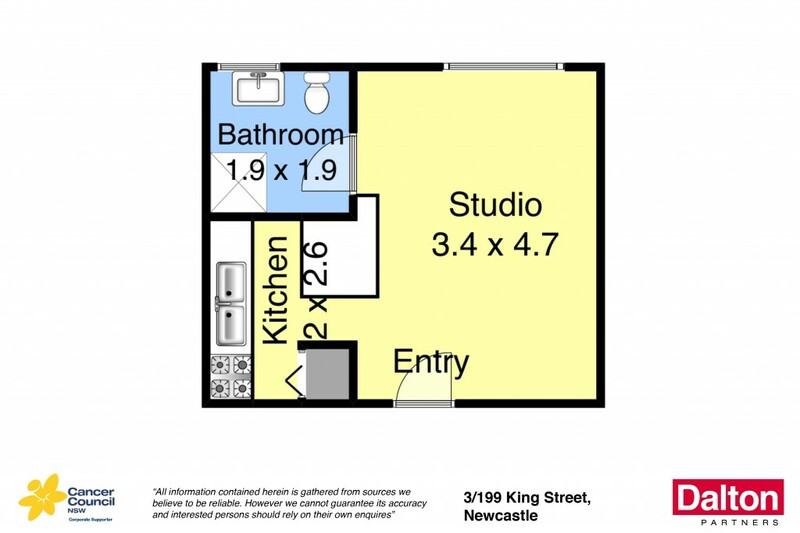 This studio apartment is positioned in the heart of Newcastle City only a stone's throw from the CBD and Newcastle Harbour foreshore. * First floor studio apartment in central city location. * Older kitchen and bathroom in need of renovation. * Sunny northerly aspect, city views from living area. * Needs some TLC but what a fantastic location. * Stroll to Civic Park, city centre and harbour foreshore. * Loads of potential to capitalize on this great location.